Square Footage Dedicated to Ferrets: 2100 sq ft.
Ferrets Dookin in the USA (FDIUSA) Urgent Emergency Rescue Group (501c3) was founded in April 2014 and became 501c3 in 2016. FDIUSA started out with helping CL ads and a mission of being a “voice”/”spokesperson” for these species to help the community learn more, educate the present owners about habitat, diet and health care. We have worked with numerous other ferret shelters/rescues in doing this. We eventually started helping ferrets in poor living conditions as well as being sick from Craigslist, then we slowly evolved to full blown rescue of ferrets in urgent emergency need that are in unsafe conditions, starvation, severe ill health from abuse and/or neglected treatment. We have placed lost/dumped, unwanted ferret in loving forever homes. Transport is arranged for ferrets to get to a shelter/rescue for immediate care as well as to their new homes. We assist in urgent emergency vet care for ferrets in an emergency situation and placed in a home with one of our members. We work with several shelters and rescues thru out the US to help the ferrets be placed in a safe environment, get the medical attention and rehabilitation needed for adoption. Some ferrets come thru group to be placed in a hospice sanctuary due to their advanced health issue. 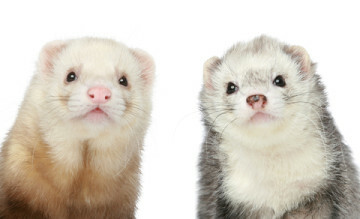 Foster care has been provided for ferrets that need to be placed in temporary foster. Assisted with emergency food. Thru the help of kind and loving volunteers, FDUSA has grown to over 3k members, our members donate their time, their homes, vehicles for transport and expertise to help our group. FDUSA has helped over 100+ ferrets be placed in loving homes, with vet treatment and most of all to be able to show them that there are gentle loving hands opposed to ones that abuse them. This is where our heart is! Rescue one until there are none!